Lefkara is where the Cypriot folk needlecraft art is born - the famous “lefkaritiko” - which the reputation of has gone beyond the frontiers of Cyprus and has become known in most of the European countries but not only there. Lefkara owes its welfare and prosperity as always spotted to this needlecraft art and to its trade launched in the late 19th century, flourishing during the 20th century first thirty years. 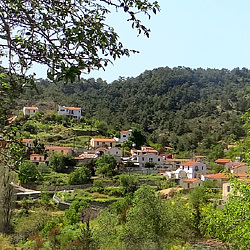 The village is situated at the foot of the Troodos Mountains in the south eastern region, 650m above sea level, 45 km from Nicosia, 30 km from the Larnaca airport and just 12 km from the Nicosia – Limassol highway. 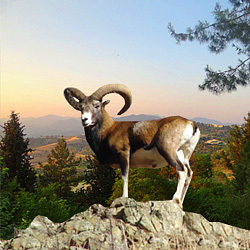 It is not really far from the sea, yet, it is located high enough for the moist air coming in from the sea to get dry by the time it reaches the village. 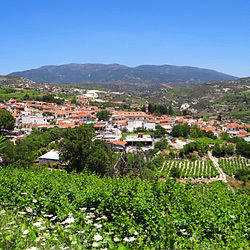 Therefore, Lefkara becomes an excellent destination during summer time because of the relatively low humidity from May to October and also the mild temperatures in the region. Today, the population of the village, which in the post-second-world period exceeded 2500 inhabitants, is not more than 1000 inhabitants amongst whom there are many expacts, because of emigration and rural-urban migration. A significant number of locals have been living in New York, London, South Africa and even Australia. 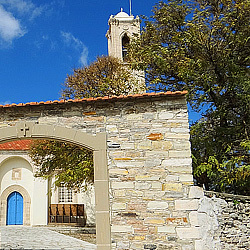 The name of Lefkara village derives from the colour of the surrounding calcareous rocks: “White rocks = Lefkara”. 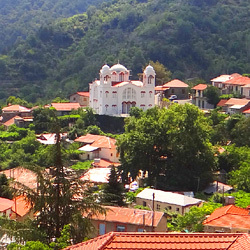 Considering the archaeological findings, the Lefkara region has most probably been inhabited for centuries. Though there is not any relevant evidence, the settlement is likely to have progressively been established and has developed reaching its current status during the Arab raids between the 7th and 9th century A.D. The inhabitants of the island were forced by the situation due to the raids to move from the coastal areas where they were living in this period to the inland ones, looking for safer places to settle. 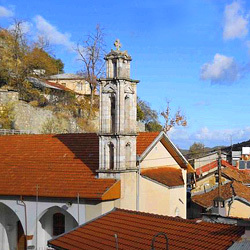 However, the very first written historical statement about Lefkara is brought out in Cypriot big type letters: Saint Neophytos the Recluse, who was born in Lefkara in 1134, according to the information provided by him. 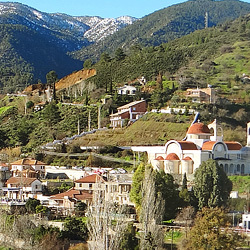 During the occupation period by the Franks, Lefkara became the see of the Greek Orthodox Bishop of Limassol, Amathus and Curium and was one of the four Orthodox Bishops’ sees. 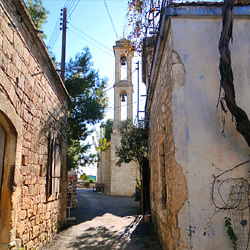 This occurred following a papal decision according to which the Cyprus Church administration should be placed under the jurisdiction of the Latin Archbishop resulting to the Greek Orthodox Bishops being forced to abandon their sees in the cities and settle in the rural areas. 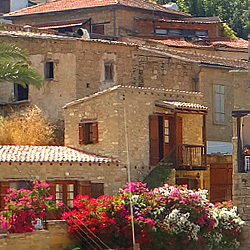 Later Lefkara during the occupation period by the Venetians (1489 - 1570 A.D.) is referred to as a summer resort for the Venetian nobles and their families. According to some researchers, the Lefkara needlecraft known as “lefkaritiko” goes back to this period and the nobles’ wives influenced to some extent the technique used by the Lefkara women. Furthermore, it is said that Leonardo da Vinci, the big Renaissance artist visited Cyprus in the late 16th century as a guest of Catherine Cornaro - Queen of Cyprus. He then visited Lefkara and bought a big tablecloth embroidered on all sides, which was donated to the Milan Cathedral. 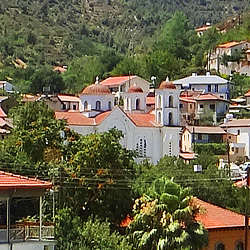 In 1570 the Turks conquered Cyprus and according to historical sources of the western world, Lefkara made its submission to the Turks and obtained some prerogatives. Yet according to more recent data contained in the folk poem “The Lament of Cyprus” a totally different version is provided, giving evidence of the large village where civilians arrived to save themselves, ending up in being the first victim of the Ottoman incursions. Therefore, the village was ransacked and its population was massacred. 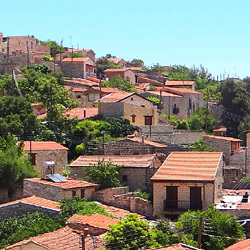 A further significant event likely to have occurred during that period is the small surrounding settlements being abandoned for safety reasons and the fact that their population moved to the main Lefkara settlement. 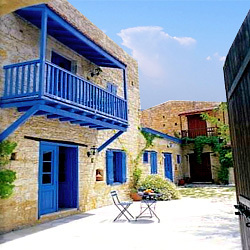 Some years later, the British colonization occurred in 1878 and namely in 1883 Lefkara and Morphou were declared the first rural municipalities in Cyprus. A Town Hall becoming operational there has been a determining fact for the further development of this large village, contributing drastically in its progress and its inhabitants’ welfare. Then a number of regulations were enacted, setting in order so many things in the large village. An abattoir, a municipal market with a distinct butcher’s shop and a pig meat shop are established. Street lamps are installed to enhance local electrification. A group of experts in street lamps lighting and road sweepers are appointed. 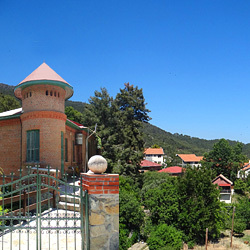 The problem of water scarcity is dealt with, whereas in 1934 an electric generator is installed in Lefkara to supply all houses with electricity resulting from an agreement co-signed by the Municipality and a private company. 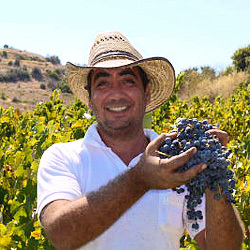 In 1938 a telephone line connecting Lefkara with Larnaca is installed.